A team of the worlds leading motoring writers, along with voters on the internet, have short-listed the legendary Mini for the ultimate motoring accolade - the international Car of the Century award. The award will be given to the car which, judged by a panel of motoring experts, best represents the story of motoring in the 20th century. From hundreds of cars considered, Mini is one of only 26 cars to make it through to the next round of the awards selection process, with final voting taking place in December 1999. The Car of the Century Jury consists of 135 of the world's top automotive journalists with representatives from 32 countries. This, along with the website voting, makes the award the biggest motoring poll ever staged. Members of the public can cast their vote on the internet website. The award is co-ordinated by an independent institution, The Global Automotive Elections Foundation. The Foundation originally selected 200 cars as a shortlist, with the 135 members of the jury each making a personal selection of one hundred candidate cars, resulting in the latest 26 car shortlist. The judging criteria relating to the Car of the Century election is: general design, historical significance, handling, roadworthiness and performance measured against its contemporaries and technical innovation, relevant to its particular period in history. Minis place in the shortlist is well deserved as the car changed the face of motoring with its radical transverse engine layout and astonishing packaging. Mini is this year celebrating 40 years of motoring with 5.3 million sales world-wide to date. The car celebrates its 40th Birthday with an extravaganza at Silverstone race circuit on August 21 and 22. Tickets and Information: 01327 857273. Launched 40 years ago, Mini inspired a new generation of front-wheel-drive cars and became known as the ultimate classless small car. From its beginnings, Mini revolutionised the motoring world with its exemplary packaging and astonishing handling, making it the driving and fashion choice of rally drivers and celebrities alike, from Paddy Hopkirk and Twiggy to David Bowie and Kate Moss. 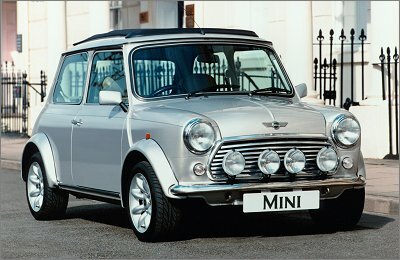 Mini was the brainchild of Sir Alec Issigonis and celebrates its 40th birthday in 1999. It was developed in response to the Suez Oil Crisis of the 1950s and launched as both the Morris Mini Minor and the Austin Seven on August 26, 1959. Mini has been in continuous production at Longbridge since 1959 - a motor industry record. Given a brief to develop the smallest possible car that would still comfortably accommodate four adults and luggage, Issigonis conceived a box measuring 10 feet by 4 feet by 4 feet of which 80% should be given over to passengers and luggage, leaving only 2 feet for the engine. To accomplish this, Issigonis used very small, 10" wheels, and an all-independent suspension. However, the real masterstroke was his idea of employing a transverse engine, driving the front wheels via a gearbox and a final drive built into the sump of the engine. The resulting packaging and handling characteristics took the world by storm and following Minis lead, the majority of modern cars utilise the principles of front wheel drive with transverse mounted engines.